Portuguese Internet service provider MEO offers smartphone contracts with monthly data limits, and sells additional monthly packages for particular data services. Critics of the EU's net neutrality rules say they are broken with loopholes that allow data for different services to be sold under zero rating exceptions to data limits. Consumer advocates of net neutrality have cited this pricing model as an illustration of Internet access with weak net neutrality protection. Network neutrality, or more simply net neutrality, is the principle that Internet service providers (ISPs) should treat all Internet communications equally and not discriminate or charge differently based on user, content, website, platform, application, type of equipment, or method of communication. When net neutrality is required, ISPs may not intentionally block, slow down, or charge money for specific online content. Without net neutrality regulations, ISPs may prioritize certain types of traffic, meter others, or potentially block traffic from specific services, while charging consumers for various tiers of service. The term was coined by Columbia University media law professor Tim Wu in 2003, as an extension of the longstanding concept of a common carrier, which was used to describe the role of telephone systems. Net neutrality regulations may be referred to as "common carrier" regulations. Net neutrality does not block all abilities that Internet service providers have to impact their customers' services. Opt-in/opt-out services exist on the end user side, and filtering can be done on a local basis, as in the filtration of sensitive material for minors. Research suggests that a combination of policy instruments will help realize the range of valued political and economic objectives central to the network neutrality debate. Combined with strong public opinion, this has led some governments to regulate broadband Internet services as a public utility, similar to the way electricity, gas, and the water supply are regulated, along with limiting providers and regulating the options those providers can offer. Proponents of net neutrality, which include computer science experts, consumer advocates, human rights organizations, and Internet content providers claim that net neutrality helps to provide freedom of information exchange, promotes competition and innovation for Internet services, and upholds standardization of Internet data transmission which was essential for its growth. Opponents of net neutrality, which include computer science experts, internet entrepreneurs, ISPs, and telecom equipment manufacturers, assert that net neutrality requirements would reduce their incentive to build out the Internet, reduces competition in the marketplace, and may raise their operating costs which they would have to pass along to their users. Network neutrality is the principle that all Internet traffic should be treated equally. Internet traffic includes all of the different messages, files and data sent over the Internet, including, for example, emails, digital audio files, digital video files, etc. According to Columbia Law School professor Tim Wu, the best way to explain network neutrality is that a public information network will end up being most useful if all content, websites, and platforms (e.g., mobile devices, video game consoles, etc.) are treated equally. A more detailed proposed definition of technical and service network neutrality suggests that service network neutrality is the loyalty to the paradigm that operation of a service at a certain layer is not influenced by any data other than the data interpreted at that layer, and in accordance with the protocol specification for that layer. Under an "open Internet" system, the full resources of the Internet and means to operate on it should be easily accessible to all individuals, companies, and organizations. Applicable concepts include: net neutrality, open standards, transparency, lack of Internet censorship, and low barriers to entry. The concept of the open Internet is sometimes expressed as an expectation of decentralized technological power, and is seen by some observers as closely related to open-source software, a type of software program whose maker allows users access to the code that runs the program, so that users can improve the software or fix bugs. Proponents of net neutrality see this as an important component of an "open Internet", wherein policies such as equal treatment of data and open web standards allow those using the Internet to easily communicate, and conduct business and activities without interference from a third party. In contrast, a "closed Internet" refers to the opposite situation, wherein established persons, corporations, or governments favour certain uses, restrict access to necessary web standards, artificially degrade some services, or explicitly filter out content. Some countries such as Thailand block certain websites or types of sites, and monitor and/or censor Internet use using Internet police, a specialized type of law enforcement, or secret police.Other countries such as Russia, China, and North Korea also use similar tactics to Thailand in order to control the variety of internet media within their respective countries. In comparison to the United States or Canada for example, these countries have far more restrictive internet service providers. This approach is reminiscent of a Closed Platform system, as both ideas are highly similar. These systems all serve to hinder access to a wide variety of internet service, which is a stark contrast to the idea of an open Internet system. The concept of a "dumb network", comprising dumb pipes, has existed since at least the early 1990s. A dumb network is a network with little or no control or management of its use patterns. Dumb pipes are analogous to water pipes used in a city water supply system; in theory, these pipes provide a steady supply of water to all users, regardless of the identity of the user or the users' activities with the water. In a dumb network, the endpoints are thought to be where the intelligence lies, and as such, proponents argue that the network should leave the management and operation of communications and data transfer to the end users, not a government bureau or Internet company. In 2013, the software company MetroTech Net, Inc. (MTN) coined the term "dumb wave", which is the 2010s-era application of the "dumb pipe" concept to the ubiquitous wireless network. Content Layer: Contains services such as communication as well as entertainment videos and music. Applications Layer: Contains services such as e-mail and web browsers. Logical Layer (Also called the Code Layer): Contains various Internet protocols such as TCP/IP and HTTP. Physical Layer: Consists of the services that provide all others such as cable or wireless connections. The end-to-end principle of network design was first laid out in the 1981 paper End-to-end arguments in system design by Jerome H. Saltzer, David P. Reed, and David D. Clark. The principle states that, whenever possible, communications protocol operations should be defined to occur at the end-points of a communications system, or as close as possible to the resources being controlled. According to the end-to-end principle, protocol features are only justified in the lower layers of a system if they are a performance optimization; hence, TCP retransmission for reliability is still justified, but efforts to improve TCP reliability should stop after peak performance has been reached. They argued that reliable systems tend to require end-to-end processing to operate correctly, in addition to any processing in the intermediate system. They pointed out that most features in the lowest level of a communications system have costs for all higher-layer clients, even if those clients do not need the features, and are redundant if the clients have to re-implement the features on an end-to-end basis. This leads to the model of a minimal dumb network with smart terminals, a completely different model from the previous paradigm of the smart network with dumb terminals. Because the end-to-end principle is one of the central design principles of the Internet, and because the practical means for implementing data discrimination violate the end-to-end principle, the principle often enters discussions about net neutrality. The end-to-end principle is closely related, and sometimes seen as a direct precursor to the principle of net neutrality. Traffic shaping is the control of computer network traffic to optimize or guarantee performance, improve latency (i.e., decrease Internet response times), and/or increase usable bandwidth by delaying packets that meet certain criteria. In practice, traffic shaping is often accomplished by throttling certain types of data, such as streaming video or P2P file sharing. More specifically, traffic shaping is any action on a set of packets (often called a stream or a flow) which imposes additional delay on those packets such that they conform to some predetermined constraint (a contract or traffic profile). Traffic shaping provides a means to control the volume of traffic being sent into a network in a specified period (bandwidth throttling), or the maximum rate at which the traffic is sent (rate limiting), or more complex criteria such as generic cell rate algorithm. If the core of a network has more bandwidth than is permitted to enter at the edges, then good quality of service (QoS) can be obtained without policing or throttling. For example, telephone networks employ admission control to limit user demand on the network core by refusing to create a circuit for the requested connection. During a natural disaster, for example, most users will get a circuit busy signal if they try to make a call, as the phone company prioritizes emergency calls. Over-provisioning is a form of statistical multiplexing that makes liberal estimates of peak user demand. Over-provisioning is used in private networks such as WebEx and the Internet 2 Abilene Network, an American university network. David Isenberg believes that continued over-provisioning will always provide more capacity for less expense than QoS and deep packet inspection technologies. Device neutrality is the principle that in order to ensure freedom of choice and freedom of communication for users of network-connected devices, it is not sufficient that network operators do not interfere with their choices and activities; users must be free to use applications of their choice and hence remove the applications they do not want. Network neutrality: Neutrality principles are codified ex-ante, and a judicial route is available for redress. Connectivity providers can implement traffic management, but the rules must be the same for everyone. The antitrust alternative, takes more time and offers few precedents. Device neutrality: Similarly, neutrality principles are codified ex-ante and avail judicial remedies. Device vendors can establish policies for managing applications, but they, too, must be applied neutrally. An unsuccessful bill to enforce network and device neutrality was introduced in Italy in 2015 by Hon. Stefano Quintarelli. The law gained formal support at the European Commission by BEUC, the European Consumer Organisation, the Electronic Frontier Foundation and the Hermes Center for Transparency and digital human rights. A similar law was enacted in South Korea. Similar principles were proposed in China. The French telecoms regulator ARCEP has called for the introduction of Device Neutrality in Europe. Discrimination by protocol is the favouring or blocking information based on aspects of the communications protocol that the computers are using to communicate. In the US, a complaint was filed with the Federal Communications Commission against the cable provider Comcast alleging they had illegally inhibited users of its high-speed Internet service from using the popular file-sharing software BitTorrent. Comcast admitted no wrongdoing in its proposed settlement of up to US$16 dollars per share in December 2009. However, a U.S. appeals court ruled in April 2010 that the FCC exceeded its authority when it sanctioned Comcast in 2008 for deliberately preventing some subscribers from using peer-to-peer file-sharing services to download large files. However, the FCC spokeswoman Jen Howard responded, "the court in no way disagreed with the importance of preserving a free and open Internet, nor did it close the door to other methods for achieving this important end". Despite the ruling in favour of Comcast, a study by Measurement Lab in October 2011 verified that Comcast had virtually stopped its BitTorrent throttling practices. During the 1990s, creating a non-neutral Internet was technically infeasible. Originally developed to filter harmful malware, the Internet security company NetScreen Technologies released network firewalls in 2003 with so-called deep packet inspection capabilities. Deep packet inspection helped make real-time discrimination between different kinds of data possible, and is often used for Internet censorship. In a practice called zero-rating, companies will reimburse data use from certain addresses, favoring use of those services. Examples include Facebook Zero and Google Free Zone. These zero-rating practices are especially common in the developing world. Sometimes Internet Service Providers (ISPs) will charge some companies, but not others, for the traffic they cause on the ISP's network. French telecom operator Orange, complaining that traffic from YouTube and other Google sites consist of roughly 50% of total traffic on the Orange network, made a deal with Google, in which they charge Google for the traffic incurred on the Orange network. Some also thought that Orange's rival ISP Free throttled YouTube traffic. However, an investigation done by the French telecommunications regulatory body revealed that the network was simply congested during peak hours. Aside from the zero-rating method, ISPs will also use certain strategies to reduce costs of pricing plans such as the use of sponsored data. In a scenario where a sponsored data plan is used, a third-party will step in and pay for all the content that it (or the carrier or consumer) does not want around. This is generally used as a way for ISP's to remove out-of-pocket costs from subscribers. One of the criticisms regarding discrimination is that the system set up by ISPs for this purpose is capable of not only discriminating but also scrutinizing full-packet content of communications. For instance, the deep packet inspection technology installs intelligence within the lower layers in the work to discover and identify the source, type, and destination of packets, revealing information about packets traveling in the physical infrastructure so it can dictate the quality of transport such packet will receive. This is seen as an architecture of surveillance, one that can be shared with intelligence agencies, copyrighted content owners, and civil litigants, exposing the users' secrets in the process. Proponents of net neutrality argue that without new regulations, Internet service providers would be able to profit from and favor their own private protocols over others. ISPs are able to encourage the use of specific services by using private networks to discriminate what data is counted against bandwidth caps. For example, Comcast struck a deal with Microsoft that allowed users to stream television through the Xfinity app on their Xbox 360s without it affecting their bandwidth limit. However, utilizing other television streaming apps, such as Netflix, HBO Go, and Hulu, counted towards the limit. Comcast denied that this infringed on net neutrality principles since "it runs its Xfinity for Xbox service on its own, private Internet protocol network". There is some disagreement about whether peering is a net neutrality issue. In the first quarter of 2014, streaming website Netflix reached an arrangement with ISP Comcast to improve the quality of its service to Netflix clients. This arrangement was made in response to increasingly slow connection speeds through Comcast over the course of 2013, where average speeds dropped by over 25% of their values a year before to an all-time low. After the deal was struck in January 2014, the Netflix speed index recorded a 66% increase in connection. Netflix agreed to a similar deal with Verizon in 2014, after Verizon DSL customers' connection speed dropped to less than 1 Mbit/s early in the year. Netflix spoke out against this deal with a controversial statement delivered to all Verizon customers experiencing low connection speeds, using the Netflix client. This sparked an internal debate between the two companies that led to Verizon's obtaining a cease and desist order on 5 June 2014 that forced Netflix to stop displaying this message. Pro-net neutrality arguments have also noted that regulations are also necessary due to research that has shown low-tolerance to slow-loading content providers. In a 2009 research study conducted by Forrester Research, online shoppers expected the web pages they visited to download content instantly. When a page fails to load at the expected speed, many of them simply click out. A study found that even a one-second delay could lead to "11% fewer page views, a 16% decrease in customer satisfaction, and 7% loss in conversions". This delay can cause a server problem to small innovators who have created new technology. If a website is slow by default, the general public will lose interest and favor a website that runs faster. This helps large corporate companies maintain power because they have the means to fund faster Internet speeds. On the other hand, smaller competitors have less financial capabilities making it harder for them to succeed in the online world. Legal enforcement of net neutrality principles takes a variety of forms, from provisions that outlaw anti-competitive blocking and "throttling" of Internet services, all the way to legal enforcement that prevents companies from subsidizing Internet use on particular sites. Contrary to popular rhetoric and statements by various individuals involved in the ongoing academic debate, research suggests that a single policy instrument (such as a no-blocking policy or a quality of service tiering policy) cannot achieve the range of valued political and economic objectives central to the debate. As Bauer and Obar suggest, "safeguarding multiple goals requires a combination of instruments that will likely involve government and nongovernment measures. Furthermore, promoting goals such as the freedom of speech, political participation, investment, and innovation calls for complementary policies." Governments of countries which comment on net neutrality usually support the concept. Net neutrality in the United States has been a point of conflict between network users and service providers since the 1990s. Much of the conflict over net neutrality arises from how Internet services are classified by the Federal Communication Commission (FCC) under authority of the Communications Act of 1934. The FCC would have significant ability to regulate ISPs should Internet services be treated as a Title II "common carrier service", or otherwise the ISPs would be mostly unrestricted by the FCC if Internet services fell under Title I "information services". Though 2017, the FCC has generally been favorable towards net neutrality, treating ISPs under Title II common carrier. With the onset of the Presidency of Donald Trump in 2017, and the appointment of Ajit Pai, an opponent of net neutrality, to the chairman of the FCC, the FCC has reversed many previous net neutrality rulings, and reclassified Internet services as Title I information services. The FCC's decisions have been a matter of several ongoing legal challenges by both states supporting net neutrality, and ISPs challenging it. The United States Congress has attempted to pass legislation supporting net neutrality but have failed to gain sufficient support, while individual states are trying to pass legislation overriding the FCC's decision to make net neutrality a requirement within their state. California has successfully passed its own net neutrality act, which the United States government is challenging on a legal basis. Net neutrality in Canada is a debated issue in that nation, but not to the degree of partisanship in other nations such as the United States in part because of its federal regulatory structure and pre-existing supportive laws that were enacted decades before the debate arose. In Canada, Internet service providers (ISPs) generally provide Internet service in a neutral manner. Some notable incidents otherwise have included Bell Canada's throttling of certain protocols and Telus's censorship of a specific website critical of the company. In the year 2018, the Indian Government unanimously approved new regulations supporting net neutrality. The regulations are considered to be the "world's strongest" net neutrality rules, guaranteeing free and open Internet for nearly half a billion people, and are expected to help the culture of startups and innovation. The only exceptions to the rules are new and emerging services like autonomous driving and tele-medicine, which may require prioritised internet lanes and faster than normal speeds. Proponents of net neutrality regulations include consumer advocates, human rights organizations such as Article 19, online companies and some technology companies. Many major Internet application companies are advocates of neutrality. Yahoo!, Vonage, eBay, Amazon, IAC/InterActiveCorp, Microsoft, Reddit, Twitter, Tumblr, Etsy, Daily Kos, Greenpeace, along with many other companies and organizations, have also taken a stance in support of net neutrality. Cogent Communications, an international Internet service provider, has made an announcement in favor of certain net neutrality policies. In 2008, Google published a statement speaking out against letting broadband providers abuse their market power to affect access to competing applications or content. They further equated the situation to that of the telephony market, where telephone companies are not allowed to control who their customers call or what those customers are allowed to say. However, Google's support of net neutrality was called into question in 2014. Several civil rights groups, such as the ACLU, the Electronic Frontier Foundation, Free Press, and Fight for the Future support net neutrality. Individuals who support net neutrality include World Wide Web inventor Tim Berners-Lee, Vinton Cerf, Lawrence Lessig, Robert W. McChesney, Steve Wozniak, Susan P. Crawford, Marvin Ammori, Ben Scott, David Reed, and former U.S. President Barack Obama. On 10 November 2014, Obama recommended that the FCC reclassify broadband Internet service as a telecommunications service in order to preserve net neutrality. On 12 November 2014, AT&T stopped build-out of their fiber network until it has "solid net neutrality rules to follow". On 31 January 2015, AP News reported that the FCC will present the notion of applying ("with some caveats") Title II (common carrier) of the Communications Act of 1934 and section 706 of the Telecommunications act of 1996 to the Internet in a vote expected on 26 February 2015. Supporters of net neutrality in the United States want to designate cable companies as common carriers, which would require them to allow Internet service providers (ISPs) free access to cable lines, the same model used for dial-up Internet. They want to ensure that cable companies cannot screen, interrupt or filter Internet content without a court order. Common carrier status would give the FCC the power to enforce net neutrality rules. SaveTheInternet.com accuses cable and telecommunications companies of wanting the role of gatekeepers, being able to control which websites load quickly, load slowly, or do not load at all. According to SaveTheInternet.com these companies want to charge content providers who require guaranteed speedy data delivery – to create advantages for their own search engines, Internet phone services, and streaming video services – and slowing access or blocking access to those of competitors. Vinton Cerf, a co-inventor of the Internet Protocol and current vice president of Google, argues that the Internet was designed without any authorities controlling access to new content or new services. He concludes that the principles responsible for making the Internet such a success would be fundamentally undermined were broadband carriers given the ability to affect what people see and do online. Cerf has also written about the importance of looking at problems like Net Neutrality through a combination of the Internet's layered system and the multistakeholder model that governs it. He shows how challenges can arise that can implicate Net Neutrality in certain infrastructure-based cases, such as when ISPs enter into exclusive arrangements with large building owners, leaving the residents unable to exercise any choice in broadband provider. Proponents of net neutrality argue that a neutral net will foster free speech and lead to further democratic participation on the Internet. Former Senator Al Franken from Minnesota fears that without new regulations, the major Internet Service Providers will use their position of power to stifle people's rights. He calls net neutrality the "First Amendment issue of our time". The past two decades has been an on going battle of ensuring that all people and websites have equal access to an unrestricted platform, regardless of their ability to pay, proponents of net neutrality wish to prevent the need to pay for speech and the further centralization of media power. Lawrence Lessig and Robert W. McChesney argue that net neutrality ensures that the Internet remains a free and open technology, fostering democratic communication. Lessig and McChesney go on to argue that the monopolization of the Internet would stifle the diversity of independent news sources and the generation of innovative and novel web content. Users with faster Internet connectivity (e.g., fiber) abandon a slow-loading video at a faster rate than users with slower Internet connectivity (e.g., cable or mobile). Proponents of net neutrality invoke the human psychological process of adaptation where when people get used to something better, they would not ever want to go back to something worse. In the context of the Internet, the proponents argue that a user who gets used to the "fast lane" on the Internet would find the "slow lane" intolerable in comparison, greatly disadvantaging any provider who is unable to pay for the "fast lane". Video providers Netflix and Vimeo in their comments to FCC in favor of net neutrality use the research of S.S. Krishnan and Ramesh Sitaraman that provides the first quantitative evidence of adaptation to speed among online video users. Their research studied the patience level of millions of Internet video users who waited for a slow-loading video to start playing. Users who had a faster Internet connectivity, such as fiber-to-the-home, demonstrated less patience and abandoned their videos sooner than similar users with slower Internet connectivity. The results demonstrate how users can get used to faster Internet connectivity, leading to higher expectation of Internet speed, and lower tolerance for any delay that occurs. Author Nicholas Carr and other social commentators have written about the habituation phenomenon by stating that a faster flow of information on the Internet can make people less patient. Net neutrality advocates argue that allowing cable companies the right to demand a toll to guarantee quality or premium delivery would create an exploitative business model based on the ISPs position as gatekeepers. Advocates warn that by charging websites for access, network owners may be able to block competitor Web sites and services, as well as refuse access to those unable to pay. According to Tim Wu, cable companies plan to reserve bandwidth for their own television services, and charge companies a toll for priority service. Proponents of net neutrality argue that allowing for preferential treatment of Internet traffic, or tiered service, would put newer online companies at a disadvantage and slow innovation in online services. Tim Wu argues that, without network neutrality, the Internet will undergo a transformation from a market ruled by innovation to one ruled by deal-making. SaveTheInternet.com argues that net neutrality puts everyone on equal terms, which helps drive innovation. They claim it is a preservation of the way the Internet has always operated, where the quality of websites and services determined whether they succeeded or failed, rather than deals with ISPs. Lawrence Lessig and Robert W. McChesney argue that eliminating net neutrality would lead to the Internet resembling the world of cable TV, so that access to and distribution of content would be managed by a handful of massive, near monopolistic companies, though there are multiple service providers in each region. These companies would then control what is seen as well as how much it costs to see it. Speedy and secure Internet use for such industries as healthcare, finance, retailing, and gambling could be subject to large fees charged by these companies. They further explain that a majority of the great innovators in the history of the Internet started with little capital in their garages, inspired by great ideas. This was possible because the protections of net neutrality ensured limited control by owners of the networks, maximal competition in this space, and permitted innovators from outside access to the network. Internet content was guaranteed a free and highly competitive space by the existence of net neutrality. For example, back in 2005 YouTube was just a small startup company. Due to an absence of Internet fast lanes, YouTube had the ability to grow larger than Google Video. Tom Wheeler and Senators Ronald Lee Wyden (D-Ore.) and Al Franken (D-Minn.) said, "Internet service providers treated YouTube's videos the same as they did Google's, and Google couldn't pay the ISPs [Internet service providers] to gain an unfair advantage, like a fast lane into consumers' homes," they wrote. "Well, it turned out that people liked YouTube a lot more than Google Video, so YouTube thrived." Net neutrality advocates have sponsored legislation claiming that authorizing incumbent network providers to override transport and application layer separation on the Internet would signal the decline of fundamental Internet standards and international consensus authority. Further, the legislation asserts that bit-shaping the transport of application data will undermine the transport layer's designed flexibility. Alok Bhardwaj, founder of Epic Privacy Browser, argues that any violations to network neutrality, realistically speaking, will not involve genuine investment but rather payoffs for unnecessary and dubious services. He believes that it is unlikely that new investment will be made to lay special networks for particular websites to reach end-users faster. Rather, he believes that non-net neutrality will involve leveraging quality of service to extract remuneration from websites that want to avoid being slowed down. This theory was confirmed in 2014 when Netflix announced it was making payments to Comcast and Verizon to avoid throttling, slower Internet speeds for particular services or websites, by those ISPs. These payments were described by Netflix founder Reed Hastings as "an arbitrary tax" and "arbitrary interconnection tolls". Some advocates say network neutrality is needed in order to maintain the end-to-end principle. According to Lawrence Lessig and Robert W. McChesney, all content must be treated the same and must move at the same speed in order for net neutrality to be true. They say that it is this simple but brilliant end-to-end aspect that has allowed the Internet to act as a powerful force for economic and social good. Under this principle, a neutral network is a dumb network, merely passing packets regardless of the applications they support. This point of view was expressed by David S. Isenberg in his paper, "The Rise of the Stupid Network". He states that the vision of an intelligent network is being replaced by a new network philosophy and architecture in which the network is designed for always-on use, not intermittence and scarcity. Rather than intelligence being designed into the network itself, the intelligence would be pushed out to the end-user's device; and the network would be designed simply to deliver bits without fancy network routing or smart number translation. The data would be in control, telling the network where it should be sent. End-user devices would then be allowed to behave flexibly, as bits would essentially be free and there would be no assumption that the data is of a single data rate or data type. Contrary to this idea, the research paper titled "End-to-end arguments in system design" by Saltzer, Reed, and Clark argues that network intelligence does not relieve end systems of the requirement to check inbound data for errors and to rate-limit the sender, nor for a wholesale removal of intelligence from the network core. Opponents of net neutrality regulations include computer science experts, internet entrepreneurs, Internet service providers (ISPs), broadband and telecommunications companies, computer hardware manufacturers, economists, and notable technologists. Many of the major hardware and telecommunications companies specifically oppose the reclassification of broadband as a common carrier under Title II. Corporate opponents of this measure include Comcast, AT&T, Verizon, IBM, Intel, Cisco, Nokia, Qualcomm, Broadcom, Juniper, D-Link, Wintel, Alcatel-Lucent, Corning, Panasonic, Ericsson, Oracle, Akamai, and others. The US Telecom and Broadband Association, which represents a diverse array of small and large broadband providers, is also an opponent. Nobel Memorial Prize-winning economist Gary Becker's paper titled, "Net Neutrality and Consumer Welfare", published by the Journal of Competition Law & Economics, argues that claims by net neutrality proponents "do not provide a compelling rationale for regulation" because there is "significant and growing competition" among broadband access providers. Google Chairman Eric Schmidt states that, while Google views that similar data types should not be discriminated against, it is okay to discriminate across different data types—a position that both Google and Verizon generally agree on, according to Schmidt. According to the Journal, when President Barack Obama announced his support for strong net neutrality rules late in 2014, Schmidt told a top White House official the president was making a mistake. Google once strongly advocated net-neutrality–like rules prior to 2010, but their support for the rules has since diminished; the company however still remains "committed" to net neutrality. Individuals who oppose net neutrality rules include TCP/IP inventor Bob Kahn,, Netscape founder Marc Andreessen, Sun Microsystems founder Scott McNealy, PayPal founders Peter Thiel and Max Levchin, "Grandfather of the Internet" David Farber, Internet pioneer David Clark, packet switching pioneer Louis Pouzin, MIT Media Lab founder Nicholas Negroponte, Nokia's CEO Rajeev Suri, VOIP pioneer Jeff Pulver, entrepreneur Mark Cuban and FCC Chairman Ajit Pai. Nobel Prize laureate economists who oppose net neutrality rules include Princeton economist Angus Deaton, Chicago economist Richard Thaler, MIT economist Bengt Holmström, and the late Chicago economist Gary Becker. Others include MIT economists David Autor, Amy Finkelstein, and Richard Schmalensee; Stanford economists Raj Chetty, Darrell Duffie, Caroline Hoxby, and Kenneth Judd; Harvard economist Alberto Alesina; Berkeley economists Alan Auerbach and Emmanuel Saez; and Yale economists William Nordhaus, Joseph Altonji and Pinelopi Goldberg. Several civil rights groups, such as the National Urban League, Jesse Jackson's Rainbow/PUSH, and League of United Latin American Citizens, also oppose Title II net neutrality regulations, who said that the call to regulate broadband Internet service as a utility would harm minority communities by stifling investment in underserved areas. The Wikimedia Foundation, which runs Wikipedia, told the Washington Post that it has a "complicated relationship" with net neutrality. The organization partnered with telecommunications companies to provide free access to Wikipedia for people in developing countries, under a program called Wikipedia Zero, without requiring mobile data to access information. The concept is known as zero rating. Said Wikimedia Foundation officer Gayle Karen Young, "Partnering with telecom companies in the near term, it blurs the net neutrality line in those areas. It fulfills our overall mission, though, which is providing free knowledge." A number of other opponents created Hands Off The Internet, a website created in 2006 to promote arguments against Internet regulation. Principal financial support for the website came from AT&T, and members included BellSouth, Alcatel, Cingular, and Citizens Against Government Waste. Robert Pepper, a senior managing director, global advanced technology policy, at Cisco Systems, and former FCC chief of policy development, says: "The supporters of net neutrality regulation believe that more rules are necessary. In their view, without greater regulation, service providers might parcel out bandwidth or services, creating a bifurcated world in which the wealthy enjoy first-class Internet access, while everyone else is left with slow connections and degraded content. That scenario, however, is a false paradigm. Such an all-or-nothing world doesn't exist today, nor will it exist in the future. Without additional regulation, service providers are likely to continue doing what they are doing. They will continue to offer a variety of broadband service plans at a variety of price points to suit every type of consumer". Computer scientist Bob Kahn has said net neutrality is a slogan that would freeze innovation in the core of the Internet. Farber has written and spoken strongly in favor of continued research and development on core Internet protocols. He joined academic colleagues Michael Katz, Christopher Yoo, and Gerald Faulhaber in an op-ed for the Washington Post strongly critical of network neutrality, essentially stating that while the Internet is in need of remodeling, congressional action aimed at protecting the best parts of the current Internet could interfere with efforts to build a replacement. According to a letter to FCC commissioners and key congressional leaders sent by 60 major ISP technology suppliers including IBM, Intel, Qualcomm, and Cisco, Title II regulation of the Internet "means that instead of billions of broadband investment driving other sectors of the economy forward, any reduction in this spending will stifle growth across the entire economy. This is not idle speculation or fear mongering...Title II is going to lead to a slowdown, if not a hold, in broadband build out, because if you don't know that you can recover on your investment, you won't make it." According to the Wall Street Journal, in one of Google's few lobbying sessions with FCC officials, the company urged the agency to craft rules that encourage investment in broadband Internet networks—a position that mirrors the argument made by opponents of strong net neutrality rules, such as AT&T and Comcast. Opponents of net neutrality argue that prioritization of bandwidth is necessary for future innovation on the Internet. Telecommunications providers such as telephone and cable companies, and some technology companies that supply networking gear, argue telecom providers should have the ability to provide preferential treatment in the form of tiered services, for example by giving online companies willing to pay the ability to transfer their data packets faster than other Internet traffic. The added income from such services could be used to pay for the building of increased broadband access to more consumers. Opponents say that net neutrality would make it more difficult for Internet service providers (ISPs) and other network operators to recoup their investments in broadband networks. John Thorne, senior vice president and deputy general counsel of Verizon, a broadband and telecommunications company, has argued that they will have no incentive to make large investments to develop advanced fibre-optic networks if they are prohibited from charging higher preferred access fees to companies that wish to take advantage of the expanded capabilities of such networks. Thorne and other ISPs have accused Google and Skype of freeloading or free riding for using a network of lines and cables the phone company spent billions of dollars to build. Marc Andreessen states that "a pure net neutrality view is difficult to sustain if you also want to have continued investment in broadband networks. If you're a large telco right now, you spend on the order of $20 billion a year on capex [capital expenditure]. You need to know how you're going to get a return on that investment. If you have these pure net neutrality rules where you can never charge a company like Netflix anything, you're not ever going to get a return on continued network investment — which means you'll stop investing in the network. And I would not want to be sitting here 10 or 20 years from now with the same broadband speeds we're getting today." Proponents of net neutrality regulations say network operators have continued to under-invest in infrastructure. However, according to Copenhagen Economics, U.S. investment in telecom infrastructure is 50 percent higher than in the European Union. As a share of GDP, the United States' broadband investment rate per GDP trails only the UK and South Korea slightly, but exceeds Japan, Canada, Italy, Germany, and France sizably. On broadband speed, Akamai reported that the US trails only South Korea and Japan among its major trading partners, and trails only Japan in the G-7 in both average peak connection speed and percentage of the population connection at 10 Mbit/s or higher, but are substantially ahead of most of its other major trading partners. The White House reported in June 2013 that U.S. connection speeds are "the fastest compared to other countries with either a similar population or land mass". Akamai's report on "The State of the Internet" in the 2nd quarter of 2014 says "a total of 39 states saw 4K readiness rate more than double over the past year". In other words, as ZDNet reports, those states saw a "major" increase in the availability of the 15Mbit/s speed needed for 4K video. According to the Progressive Policy Institute and ITU data, the United States has the most affordable entry-level prices for fixed broadband in the OECD. In Indonesia, there is a very high number of Internet connections that are subjected to exclusive deals between the ISP and the building owner, and changing this dynamic could unlock much more consumer choice and higher speeds. FCC Commissioner Ajit Pai and Federal Election Commission's Lee Goldman wrote in a Politico piece in February 2015, "Compare Europe, which has long had utility-style regulations, with the United States, which has embraced a light-touch regulatory model. Broadband speeds in the United States, both wired and wireless, are significantly faster than those in Europe. Broadband investment in the United States is several multiples that of Europe. And broadband's reach is much wider in the United States, despite its much lower population density." VOIP pioneer Jeff Pulver states that the uncertainty of the FCC imposing Title II, which experts said would create regulatory restrictions on using the Internet to transmit a voice call, was the "single greatest impediment to innovation" for a decade. According to Pulver, investors in the companies he helped found, like Vonage, held back investment because they feared the FCC could use Title II to prevent VOIP startups from bypassing telephone networks. A 2010 paper on net neutrality by Nobel Prize economist Gary Becker and his colleagues stated that "there is significant and growing competition among broadband access providers and that few significant competitive problems have been observed to date, suggesting that there is no compelling competitive rationale for such regulation". Becker and fellow economists Dennis Carlton and Hal Sidler found that "Between mid-2002 and mid-2008, the number of high-speed broadband access lines in the United States grew from 16 million to nearly 133 million, and the number of residential broadband lines grew from 14 million to nearly 80 million. Internet traffic roughly tripled between 2007 and 2009. At the same time, prices for broadband Internet access services have fallen sharply." The PPI reports that the profit margins of U.S. broadband providers are generally one-sixth to one-eighth of companies that use broadband (such as Apple or Google), contradicting the idea of monopolistic price-gouging by providers. When FCC Chairman Tom Wheeler redefined broadband from 4 Mbit/s to 25 Mbit/s (3.125 MB/s) or greater in January 2015, FCC commissioners Ajit Pai and Mike O'Reilly believed the redefinition was to set up the agency's intent to settle the net neutrality fight with new regulations. The commissioners argued that the stricter speed guidelines painted the broadband industry as less competitive, justifying the FCC's moves with Title II net neutrality regulations. A report by the Progressive Policy Institute in June 2014 argues that nearly every American can choose from at least 2-4 broadband Internet service providers, despite claims that there are only a "small number" of broadband providers. Citing research from the FCC, the Institute wrote that 90 percent of American households have access to at least one wired and one wireless broadband provider at speeds of at least 4 Mbit/s (500 kbyte/s) downstream and 1 Mbit/s (125 kbyte/s) upstream and that nearly 88 percent of Americans can choose from at least two wired providers of broadband disregarding speed (typically choosing between a cable and telco offering). Further, three of the four national wireless companies report that they offer 4G LTE to 250–300 million Americans, with the fourth (T-Mobile) sitting at 209 million and counting. Similarly, the FCC reported in June 2008 that 99.8% of ZIP codes in the United States had two or more providers of high speed Internet lines available, and 94.6% of ZIP codes had four or more providers, as reported by University of Chicago economists Gary Becker, Dennis Carlton, and Hal Sider in a 2010 paper. FCC commissioner Ajit Pai states that the FCC completely brushes away the concerns of smaller competitors who are going to be subject to various taxes, such as state property taxes and general receipts taxes. As a result, according to Pai, that does nothing to create more competition within the market. According to Pai, the FCC's ruling to impose Title II regulations is opposed by the country's smallest private competitors and many municipal broadband providers. In his dissent, Pai noted that 142 wireless ISPs (WISPs) said that FCC's new "regulatory intrusion into our businesses ... would likely force us to raise prices, delay deployment expansion, or both". He also noted that 24 of the country's smallest ISPs, each with fewer than 1,000 residential broadband customers, wrote to the FCC stating that Title II "will badly strain our limited resources" because they "have no in-house attorneys and no budget line items for outside counsel". Further, another 43 municipal broadband providers told the FCC that Title II "will trigger consequences beyond the Commission's control and risk serious harm to our ability to fund and deploy broadband without bringing any concrete benefit for consumers or edge providers that the market is not already proving today without the aid of any additional regulation". According to a Wired magazine article by TechFreedom's Berin Szoka, Matthew Starr, and Jon Henke, local governments and public utilities impose the most significant barriers to entry for more cable broadband competition: "While popular arguments focus on supposed 'monopolists' such as big cable companies, it's government that's really to blame." The authors state that local governments and their public utilities charge ISPs far more than they actually cost and have the final say on whether an ISP can build a network. The public officials determine what requirements an ISP must meet to get approval for access to publicly owned "rights of way" (which lets them place their wires), thus reducing the number of potential competitors who can profitably deploy Internet service—such as AT&T's U-Verse, Google Fiber, and Verizon FiOS. Kickbacks may include municipal requirements for ISPs such as building out service where it is not demanded, donating equipment, and delivering free broadband to government buildings. According to a research article from MIS Quarterly, the authors stated their findings subvert some of the expectations of how ISPs and CPs act regarding Net Neutrality laws. The paper shows that even if an ISP is under restrictions, it still has the opportunity and the incentive to act as a gatekeeper over CPs by enforcing priority delivery of content. Those in favor of forms of non-neutral tiered Internet access argue that the Internet is already not a level playing field, that large companies achieve a performance advantage over smaller competitors by providing more and better-quality servers and buying high-bandwidth services. Should scrapping of net neutrality regulations precipitate a price drop for lower levels of access, or access to only certain protocols, for instance, such would make Internet usage more adaptable to the needs of those individuals and corporations who specifically seek differentiated tiers of service. Network expert Richard Bennett has written, "A richly funded Web site, which delivers data faster than its competitors to the front porches of the Internet service providers, wants it delivered the rest of the way on an equal basis. This system, which Google calls broadband neutrality, actually preserves a more fundamental inequality." FCC commissioner Ajit Pai, who opposed the 2015 Title II reclassification of ISPs, says that the ruling allows new fees and taxes on broadband by subjecting them to the telephone-style taxes under the Universal Service Fund. Net neutrality proponent Free Press writes,"the average potential increase in taxes and fees per household would be far less" than the estimate given by net neutrality opponents, and that if there were to be additional taxes, the tax figure may be around US$4 billion. Under favorable circumstances, "the increase would be exactly zero". Meanwhile, the Progressive Policy Institute claims that Title II could trigger taxes and fees up to $11 billion a year. Financial website Nerd Wallet did their own assessment and settled on a possible US$6.25 billion tax impact, estimating that the average American household may see their tax bill increase US$67 annually. FCC spokesperson Kim Hart said that the ruling "does not raise taxes or fees. Period." However, the opposing commissioner, Ajit Pai, claims that "the plan explicitly opens the door to billions of dollars in new taxes on broadband ... These new taxes will mean higher prices for consumers and more hidden fees that they have to pay." Pai explained, "One avenue for higher bills is the new taxes and fees that will be applied to broadband. Here's the background. If you look at your phone bill, you'll see a 'Universal Service Fee', or something like it. These fees – what most Americans would call taxes – are paid by Americans on their telephone service. They funnel about $9 billion each year through the FCC. Consumers haven't had to pay these taxes on their broadband bills because broadband has never before been a Title II service. But now it is. And so the Order explicitly opens the door to billions of dollars in new taxes." According to PayPal founder and Facebook investor Peter Thiel in 2011, "Net neutrality has not been necessary to date. I don't see any reason why it's suddenly become important, when the Internet has functioned quite well for the past 15 years without it. ... Government attempts to regulate technology have been extraordinarily counterproductive in the past." Max Levchin, the other co-founder of PayPal, echoed similar statements, telling CNBC, "The Internet is not broken, and it got here without government regulation and probably in part because of lack of government regulation." FCC Commissioner Ajit Pai, who was one of the two commissioners who opposed the net neutrality proposal, criticized the FCC's ruling on Internet neutrality, stating that the perceived threats from ISPs to deceive consumers, degrade content, or disfavor the content that they dislike are non-existent: "The evidence of these continuing threats? There is none; it's all anecdote, hypothesis, and hysteria. A small ISP in North Carolina allegedly blocked VoIP calls a decade ago. Comcast capped BitTorrent traffic to ease upload congestion eight years ago. Apple introduced Facetime over Wi-Fi first, cellular networks later. Examples this picayune and stale aren't enough to tell a coherent story about net neutrality. The bogeyman never had it so easy." FCC Commissioner Mike O'Reilly, the other opposing commissioner, also claims that the ruling is a solution to a hypothetical problem, "Even after enduring three weeks of spin, it is hard for me to believe that the Commission is establishing an entire Title II/net neutrality regime to protect against hypothetical harms. There is not a shred of evidence that any aspect of this structure is necessary. The D.C. Circuit called the prior, scaled-down version a 'prophylactic' approach. I call it guilt by imagination." In a Chicago Tribune article, FCC Commissioner Pai and Joshua Wright of the Federal Trade Commission argue that "the Internet isn't broken, and we don't need the president's plan to 'fix' it. Quite the opposite. The Internet is an unparalleled success story. It is a free, open and thriving platform." Opponents argue that net neutrality regulations prevent service providers from providing more affordable Internet access to those who can't afford it. A concept known as "zero-rating", ISPs would be unable to provide Internet access for free or at a reduced cost to the poor under net neutrality rules. For example, low-income users who can't afford bandwidth-hogging Internet services such as video streams could be exempted from paying through subsidies or advertising. However, under the rules, ISPs would not be able to discriminate traffic, thus forcing low-income users to pay for high-bandwidth usage like other users. The Wikimedia Foundation, which runs Wikipedia, created Wikipedia Zero to provide Wikipedia free-of-charge on mobile phones to low-income users, especially those in developing countries. However, the practice violates net neutrality rules as traffic would have to be treated equally regardless of the users' ability to pay. In 2014, Chile banned the practice of Internet service providers giving users free access to websites like Wikipedia and Facebook, saying the practice violates net neutrality rules. In 2016, India banned Internet.org's Free Basics application, which provides users in less developed countries with free access to a variety of websites like Wikipedia, BBC, Dictionary.com, health sites, Facebook, ESPN, and weather reports—ruling that the initiative violated net neutrality. Net neutrality rules would prevent traffic from being allocated to the most needed users, according to Internet Pioneer David Farber. Because net neutrality regulations prevent a discrimination of traffic, networks would have to treat critical traffic equally with non-critical traffic. According to Farber, "When traffic surges beyond the ability of the network to carry it, something is going to be delayed. When choosing what gets delayed, it makes sense to allow a network to favor traffic from, say, a patient's heart monitor over traffic delivering a music download. It also makes sense to allow network operators to restrict traffic that is downright harmful, such as viruses, worms and spam." Tim Wu, though a proponent of network neutrality, claims that the current Internet is not neutral as its implementation of best effort generally favors file transfer and other non-time-sensitive traffic over real-time communications. Generally, a network which blocks some nodes or services for the customers of the network would normally be expected to be less useful to the customers than one that did not. Therefore, for a network to remain significantly non-neutral requires either that the customers not be concerned about the particular non-neutralities or the customers not have any meaningful choice of providers, otherwise they would presumably switch to another provider with fewer restrictions. While the network neutrality debate continues, network providers often enter into peering arrangements among themselves. These agreements often stipulate how certain information flows should be treated. In addition, network providers often implement various policies such as blocking of port 25 to prevent insecure systems from serving as spam relays, or other ports commonly used by decentralized music search applications implementing peer-to-peer networking models. They also present terms of service that often include rules about the use of certain applications as part of their contracts with users. Most consumer Internet providers implement policies like these. The MIT Mantid Port Blocking Measurement Project is a measurement effort to characterize Internet port blocking and potentially discriminatory practices. However, the effect of peering arrangements among network providers are only local to the peers that enter into the arrangements and cannot affect traffic flow outside their scope. Jon Peha from Carnegie Mellon University believes it is important to create policies that protect users from harmful traffic discrimination while allowing beneficial discrimination. Peha discusses the technologies that enable traffic discrimination, examples of different types of discrimination, and potential impacts of regulation. Google Chairman Eric Schmidt aligns Google's views on data discrimination with Verizon's: "I want to be clear what we mean by Net neutrality: What we mean is if you have one data type like video, you don't discriminate against one person's video in favor of another. But it's okay to discriminate across different types. So you could prioritize voice over video. And there is general agreement with Verizon and Google on that issue." Echoing similar comments by Schmidt, Google's Chief Internet Evangelist and "father of the Internet", Vint Cerf, says that "it's entirely possible that some applications needs far more latency, like games. Other applications need broadband streaming capability in order to deliver real-time video. Others don't really care as long as they can get the bits there, like e-mail or file transfers and things like that. But it should not be the case that the supplier of the access to the network mediates this on a competitive basis, but you may still have different kinds of service depending on what the requirements are for the different applications." Content caching is the process by which frequently accessed contents are temporarily stored in strategic network positions (e.g., in servers close to the end-users) to achieve several performance objectives. For example, caching is commonly used by ISPs to reduce network congestion and results in a superior quality of experience (QoE) perceived by the final users. Since the storage available in cache servers is limited, caching involves a process of selection of the contents worth storing. Several cache algorithms have been designed to perform this process which, in general, leads to store the most popular contents. The cached contents are retrieved at a higher QoE (e.g., lower latency) and caching can be therefore considered a form of traffic differentiation. However, caching is not generally viewed as a form of discriminatory traffic differentiation. For example, the technical writer Adam Marcus states that "accessing content from edge servers may be a bit faster for users, but nobody is being discriminated against and most content on the Internet is not latency-sensitive". In line with this statement, caching is not regulated by legal frameworks that are favourable to Net Neutrality, such as the Open Internet Order issued by the FCC in 2015. Even more so, the legitimacy of caching has never been put in doubt by opponents of Net Neutrality. On the contrary, the complexity of caching operations (e.g., extensive information processing) has been successively regarded by the FCC as one of the technical reasons why ISPs should not be considered common carriers, which legitimates the abrogation of Net Neutrality rules. Under a Net Neutrality regime, prioritization of a class of traffic with respect to another one is allowed only if several requirements are met (e.g., objectively different QoS requirements). However, when it comes to caching, a selection of contents of the same class has to be performed (e.g., set of videos worth storing in cache servers). In the spirit of a general deregulation with regard to caching, there is not a rule that specifies how this process can be carried out in a non-discriminatory way. Nevertheless, the scientific literature considers the issue of caching as a potentially discriminatory process and provides possible guidelines to address it. For example, a non-discriminatory caching might be performed considering the popularity of contents, or with the aim of guaranteeing the same QoE to all the users, or, alternatively, to achieve some common welfare objectives. As far as CDNs are concerned, the relation between caching and Net Neutrality is even more complex. In fact, CDNs are employed to allow a scalable and highly-efficient content delivery rather than to grant access to the Internet. Consequently, differently from ISPs, CDNs are entitled to charge content providers for caching their contents. Therefore, although this may be regarded as a form of paid traffic prioritization, CDNs are not subject of Net Neutrality regulations and are rarely included in the debate. Despite of this, it is argued by some that the Internet ecosystem has changed to such an extent that all the players involved in the content delivery can distort competition and should be therefore also included in the discussion around Net Neutrality. Among those, the analyst Dan Rayburn suggested that "the Open Internet Order enacted by the FCC in 2015 was myopically focussed on ISPs". Internet routers forward packets according to the diverse peering and transport agreements that exist between network operators. Many networks using Internet protocols now employ quality of service (QoS), and Network Service Providers frequently enter into Service Level Agreements with each other embracing some sort of QoS. There is no single, uniform method of interconnecting networks using IP, and not all networks that use IP are part of the Internet. IPTV networks are isolated from the Internet and are therefore not covered by network neutrality agreements. The IP datagram includes a 3-bit wide Precedence field and a larger DiffServ Code Point (DSCP) that are used to request a level of service, consistent with the notion that protocols in a layered architecture offer services through Service Access Points. This field is sometimes ignored, especially if it requests a level of service outside the originating network's contract with the receiving network. It is commonly used in private networks, especially those including Wi-Fi networks where priority is enforced. While there are several ways of communicating service levels across Internet connections, such as SIP, RSVP, IEEE 802.11e, and MPLS, the most common scheme combines SIP and DSCP. Router manufacturers now sell routers that have logic enabling them to route traffic for various Classes of Service at "wire-speed". Quality of service is sometimes taken as a measurement through certain tools to test a user's connection quality, such as Network Diagnostic Tools (NDT) and services on speedtest.net. These tools are known to be used by National Regulatory Authorities (NRAs), who use these QoS measurements as a way of detecting Net Neutrality violations. However, there are very few examples of such measurements being used in any significant way by NRAs, or in network policy for that matter. Often, these tools are used not because they fail at recording the results they are meant to record, but because said measurements are inflexible and difficult to exploit for any significant purpose. According to Ioannis Koukoutsidis, the problems with the current tools used to measure QoS stem from a lack of a standard detection methodology, a need to be able to detect various methods in which an ISP might violate Net Neutrality, and the inability to test an average measurement for a specific population of users. With the emergence of multimedia, VoIP, IPTV, and other applications that benefit from low latency, various attempts to address the inability of some private networks to limit latency have arisen, including the proposition of offering tiered service levels that would shape Internet transmissions at the network layer based on application type. These efforts are ongoing, and are starting to yield results as wholesale Internet transport providers begin to amend service agreements to include service levels. An approach offered by Tim Berners-Lee allows discrimination between different tiers, while enforcing strict neutrality of data sent at each tier: "If I pay to connect to the Net with a given quality of service, and you pay to connect to the net with the same or higher quality of service, then you and I can communicate across the net, with that quality and quantity of service." "[We] each pay to connect to the Net, but no one can pay for exclusive access to me." United States lawmakers have introduced bills that would now allow quality of service discrimination for certain services as long as no special fee is charged for higher-quality service. Founder of Epic Privacy Browser, Alok Bhardwaj, has argued that net neutrality preservation through legislation is consistent with implementing quality of service protocols. He argues legislation should ban the charging of fees for any quality of service, which would both allow networks to implement quality of service as well as remove any incentive to abuse net neutrality ideas. He argues that since implementing quality of service does not require any additional costs versus a non-QoS network, there is no reason implementing quality of service should entail any additional fees. However, the core network hardware needed (with large number of queues, etc.) and the cost of designing and maintaining a QoS network are both much higher than for a non-QoS network. There are also some discrepancies in how wireless networks affect the implementation of net neutrality policy, some of which are noted in the studies of Christopher Yoo. In one research article, he claimed that "...bad handoffs, local congestion, and the physics of wave propagation make wireless *broadband networks* significantly less reliable than fixed broadband networks." Broadband Internet access has most often been sold to users based on Excess Information Rate or maximum available bandwidth. If Internet service providers (ISPs) can provide varying levels of service to websites at various prices, this may be a way to manage the costs of unused capacity by selling surplus bandwidth (or "leverage price discrimination to recoup costs of 'consumer surplus'"). However, purchasers of connectivity on the basis of Committed Information Rate or guaranteed bandwidth capacity must expect the capacity they purchase in order to meet their communications requirements. Various studies have sought to provide network providers the necessary formulas for adequately pricing such a tiered service for their customer base. But while network neutrality is primarily focused on protocol based provisioning, most of the pricing models are based on bandwidth restrictions. On July 12, 2017, an event called the Day of Action was held to advocate net neutrality in the United States in response to Ajit Pai's plans to remove government policies that upheld net neutrality. Several websites participated in this event, including ones such as Amazon, Netflix, Google, and several other just as well-known websites. The gathering was called "the largest online protest in history." Websites chose many different ways to convey their message. The founder of the web, Tim Berners-Lee, published a video defending FCC's rules. Reddit made a pop-up message that loads slowly to illustrate the effect of removing net neutrality. Other websites also put up some less obvious notifications, such as Amazon, who put up a hard-to-notice link, or Google, who put up policy blog post as opposed to a more obvious message. A poll conducted by Mozilla showed strong support for net neutrality across US political parties. Out of the approximately 1,000 responses received by the poll, 76% of Americans, 81% of Democrats, and 73% of Republicans, support net neutrality. The poll also showed that many Americans do not think that Trump's government can be trusted to protect access to the Internet. Net neutrality supporters had also made several comments on the FCC website opposing plans to remove net neutrality, especially after a segment by John Oliver regarding this topic was aired on his show Last Week Tonight. He urged his viewers to comment on the FCC's website, and the flood of comments that were received crashed the FCC's website, with the resulting media coverage of the incident inadvertently helping it to reach greater audiences. However, in response, Ajit Pai selected one particular comment that specifically supported removal of net neutrality policies. At the end of August, the FCC released more than 13,000 pages of net neutrality complaints filed by consumers, yet it was released one day before the deadline for the public to comment on Ajit Pai's proposal to remove net neutrality. It has been implied that the FCC ignored evidence against their proposal in order to remove the protection laws faster. It has also been noted that nowhere was it mentioned how FCC made any attempt to resolve the complaints made. Regardless, Ajit Pai's proposal has drawn more than 22 million comments, though a large amount were spam. However, there were 1.5 million personalized comments, 98.5% of them protesting Ajit Pai's plan. As of January 2018[update],[needs update] Fifty senators endorsed a legislative measure to override the Federal Communications Commission's decision to deregulate the broadband industry. The Congressional Review Act paperwork was filed on May 9, 2018, which allowed the Senate to vote on the permanence of the new net neutrality rules proposed by the FCC. The vote passed and a resolution was approved to try and remove the FCC's new rules on net neutrality; however, officials doubt there is enough time to completely repeal the rules before the Open Internet Order officially expired on June 11, 2018. A September 2018 report from Northeastern University and the University of Massachusetts, Amherst found that U.S. telecom companies are indeed slowing Internet traffic to and from those two sites in particular along with other popular apps. In March 2019, congressional supporters of net neutrality introduced the Save the Internet Act in both the House and Senate, which if passed would reverse the FCC's 2017 repeal of net neutrality protections. ^ From MEO: "Pós-Pagos Unlimited". MEO. 14 December 2017. Archived from the original on 14 December 2017. ^ Hern, Alex (27 October 2015). "EU net neutrality laws fatally undermined by loopholes, critics say". The Guardian. Archived from the original on 13 February 2016. Retrieved 16 February 2016. Doctorow, Cory (28 October 2017). "Portuguese non-neutral ISP shows us what our Trumpian internet will look like/Boing Boing". Boing Boing. Archived from the original on 30 November 2017. Coren, Michael J. (30 October 2017). "Without net neutrality in Portugal, mobile internet is bundled like a cable package". Quartz. Archived from the original on 30 November 2017. Bode, Karl (31 October 2017). 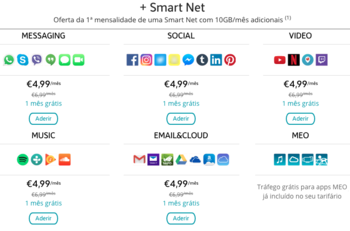 "Portugal Shows The Internet Why Net Neutrality Is Important". Techdirt. Archived from the original on 1 December 2017. ^ Gilroy, Angele A. (11 March 2011). Access to Broadband Networks: The Net Neutrality Debate (Report). DIANE Publishing. p. 1. ISBN 978-1437984545. ^ Tim Wu (2003). "Network Neutrality, Broadband Discrimination" (PDF). Journal on Telecom and High Tech Law. Archived (PDF) from the original on 24 April 2014. Retrieved 23 April 2014. ^ Kramer, J; Wiewiorra, L.; Weinhardt, C. (2013). "Net Neutrality: A Progress Report" (PDF). Telecommunications Policy. 37 (9): 794–813. CiteSeerX 10.1.1.258.5878. doi:10.1016/j.telpol.2012.08.005. Archived from the original (PDF) on 23 May 2015. ^ a b Berners-Lee, Tim (21 June 2006). "Net Neutrality: This is Serious". timbl's blog. Archived from the original on 27 December 2008. Retrieved 26 December 2008. ^ a b Staff. "A Guide to Net Neutrality for Google Users". Google. Archived from the original on 1 September 2008. Retrieved 7 December 2008. ^ Jensen, Cory. "Net Neutrality." American Governance, edited by Stephen Schechter, et al., vol. 3, Macmillan Reference USA, 2016, p. 326. Gale Virtual Reference Library, http://link.galegroup.com/apps/doc/CX3629100443/GVRL?u=mcc_pv&sid=GVRL&xid=4d1b573d. Accessed 16 June 2018. ^ "Complying with COPPA: Frequently Asked Questions". Federal Trade Commission. 20 March 2015. Retrieved 2 July 2018. ^ a b Bauer, Johannes; Obar, Jonathan A. (2014). "Reconciling political and economic goals in the net neutrality debate". Information Society. 30 (1): 1–19. doi:10.1080/01972243.2013.856362. SSRN 2910104. ^ "F.C.C. Approves Net Neutrality Rules, Classifying Broadband Internet Service as a Utility". The New York Times. 27 February 2015. Archived from the original on 26 February 2015. ^ Honan, Matthew (12 February 2008). "Inside Net Neutrality: Is your ISP filtering content?". MacWorld. Archived from the original on 18 December 2008. Retrieved 26 December 2008. ^ Wu, Tim. "Network Neutrality FAQ". Archived from the original on 16 December 2008. Retrieved 26 December 2008. ^ Hagai Bar-El. "Protecting Network Neutrality: Both Important and Hard". hbarel.com. Archived from the original on 20 August 2014. Retrieved 19 August 2014. ^ Wheeler, Tom (15 September 2017). "What is the Open Internet Rule?". Brookings. Archived from the original on 28 October 2017. Retrieved 27 October 2017. ^ Ingram, Mathew (23 March 2012). "Open vs. closed: What kind of internet do we want?". GigaOm. Archived from the original on 28 May 2014. Retrieved 8 June 2014. ^ "About the Open Internet". European Commission. Archived from the original on 24 April 2014. Retrieved 23 April 2014. ^ admin. "Website Censorship in Thailand – 2008-2011 | 2Bangkok.com". 2bangkok.com. Retrieved 14 February 2019. ^ "Russia". freedomhouse.org. 10 November 2016. Retrieved 22 March 2019. ^ ""Race to the Bottom": Corporate Complicity in Chinese Internet Censorship: II. How Censorship Works in China: A Brief Overview". www.hrw.org. Retrieved 22 March 2019. ^ "국경없는 기자회 '북한 언론자유 세계 최악 수준'". www.chogabje.com. Retrieved 22 March 2019. ^ Tåg, Joacim (April 2008). "Open Versus Closed Platforms" (PDF). Open Versus Closed Platforms. 209: 18. ^ IETF RFC 2475 "An Architecture for Differentiated Services" section 2.3.3.3 – definition of "Shaper"
^ tsbmail. "ITU-T I.371: Traffic control and congestion control in B-ISDN". Archived from the original on 20 December 2014. Retrieved 14 September 2014. ^ Isenberg, David (2 July 2007). "Research on Costs of Net Neutrality". isen.com. Archived from the original on 16 December 2008. Retrieved 26 December 2008. ^ Anderson, Nate (25 July 2007). "Deep packet inspection meets 'Net neutrality, CALEA". Ars Technica. Archived from the original on 16 December 2008. Retrieved 26 December 2008. ^ "After Net Neutrality, Device Neutrality". hermescenter.org. 4 December 2017. Archived from the original on 2 January 2018. Retrieved 20 March 2018. ^ "Draft law laying down measures concerning the provision of Internet services for the protection of competition and freedom of access for users (under 'Contributions')". ec.europa.eu. 25 January 2018. Retrieved 20 March 2018. ^ "Amended Enforcement Decree of the Telecommunications Business Act Now Effective". kimchang.com. 20 July 2017. Retrieved 20 March 2018. ^ "China's M.I.I.T. Proposes Broad Regulatory Oversight over Pre-Installed Mobile Phone/Device Applications". kwm.com. Retrieved 5 May 2018. ^ "Regulator slams devices as weak link for net neutrality". mobileworldlive.com. 16 February 2018. Retrieved 20 March 2018. ^ Hansell, Saul (2 August 2008). "F.C.C. Vote Sets Precedent on Unfettered Web Usage". The New York Times. Archived from the original on 19 September 2017. ^ "Deep_Packet_Inspection_The_End_of_the_Internet_As_We_Know_It" (PDF). Center for Internet and Society. Archived from the original (PDF) on 4 March 2016. Retrieved 27 June 2016. ^ Duncan, Geoff (23 December 2009). "Comcast to Pay $16 Million for Blocking P2P Applications". Digital Trends. Archived from the original on 25 December 2009. Retrieved 23 December 2009. ^ Cheng, Jacqui (22 December 2009). "Comcast settles P2P throttling class-action for $16 million". Ars Technica. Condé Nast. Archived from the original on 2 January 2010. Retrieved 23 December 2009. ^ Amy Schatz (7 April 2010). "Court Backs Comcast Over FCC". Wall Street Journal. Archived from the original on 12 March 2017. ^ "Comcast No Longer Choking File Sharers' Connections, Study Says". WIRED. Archived from the original on 27 April 2017. ^ "BitTorrent Throttling Internet Providers Exposed". TorrentFreak. Archived from the original on 8 August 2017. ^ M. Chris Riley & Ben Scott, Free Press (March 2009). "Deep Packet Inspection: The end of the Internet as we know it?" (PDF). Center for Internet and Society. Archived from the original (PDF) on 9 September 2014. Retrieved 29 May 2014. ^ Paul Roberts, IDG News Service (20 October 2003). "NetScreen announces deep inspection firewall". Network World. Archived from the original on 7 December 2008. Retrieved 29 May 2014. ^ Ben Gilbert (23 December 2013). "T-Mobile prepaid offering free data... but only to access Facebook". Engadget. Archived from the original on 29 November 2014. Retrieved 18 November 2014. ^ Hay Newman, Lily (21 January 2014). "Net Neutrality Is Already in Trouble in the Developing World". Slate. Slate. Archived from the original on 16 November 2014. Retrieved 18 November 2014. ^ Robertson, Adi (19 January 2013). "French ISP Orange says it's making Google pay to send traffic over its network". The Verge. Archived from the original on 16 January 2014. Retrieved 14 January 2014. ^ "ARCEP closes the administrative inquiry involving several companies, including Free and Google, on the technical and financial terms governing IP traffic routing". arcep.fr. 19 July 2013. Archived from the original on 1 February 2014. Retrieved 18 January 2014. ^ Frieden, Rob. "Grey Nuances in the Black and White Debate over Subsidized Internet Access." Telecommunications Policy, vol. 41, no. Celebrating 40 Years of Telecommunications Policy - A Retrospective and Prospective View, 01 Nov. 2017, pp. 1017-1026. EBSCOhost, doi:10.1016/j.telpol.2016.10.002. ^ Lee, In (2009). Handbook of Research on Telecommunications Planning and Management for Business. Hershey, PA: Information Science Reference. p. 135. ISBN 9781605661940. ^ Reich, Pauline; Gelbstein, Eduardo (2012). Law, Policy, and Technology: Cyberterrorism, Information Warfare, and Internet Immobilization: Cyberterrorism, Information Warfare, and Internet Immobilization. Hershey, PA: IGI Global. p. 229. ISBN 9781615208319. ^ Mitchell, Dan (May 2012). "Is Comcast violating net-neutrality rules?". Fortune. Archived from the original on 15 November 2015. ^ Joshua Brustein (24 February 2014). "Netflix's Deal With Comcast Isn't About Net Neutrality—Except That It Is". BusinessWeek. Bloomberg L.P. Archived from the original on 15 September 2014. Retrieved 18 November 2014. ^ Waniata, Ryan (14 April 2014). "Comcast Jumps up in Netflix Speed Rankings after Payola-style Agreement". Digital Trends. ^ Waniata, Ryan (9 June 2014). "Netflix Calls Verizon out on the Big Red Screen [Update: Netflix Backs Off]". Digital Trends. ^ Lohr, Steve (29 February 2012). "Impatient Web Users Flee Slow-Loading Sites". The New York Times. ISSN 0362-4331. Archived from the original on 4 March 2017. Retrieved 4 March 2017. ^ Dooley, Roger. "Don't Let a Slow Website Kill Your Bottom Line". Forbes. Archived from the original on 4 March 2017. Retrieved 4 March 2017. ^ Feld, Harold (14 December 2017). "Net Neutrality". Public Knowledge. Retrieved 23 May 2018. ^ Leskin, P. (27 November 2017). "Net Neutrality Timeline: 10 Events That Led to Dec. 14". Inverse. Retrieved 15 May 2018. ^ The Editorial Board (10 April 2015). "Editorial - Global Threats to Net Neutrality". The New York Times. Archived from the original on 11 April 2015. Retrieved 10 April 2015. ^ Bauer, Johannes; Obar, Jonathan A. (2014). "Reconciling political and economic goals in the net neutrality debate". Information Policy. 30 (1): 1. doi:10.1080/01972243.2013.856362. SSRN 2910104. ^ Shepardson, David (10 May 2018). "U.S. 'net neutrality' rules will expire on June 11: FCC". Reuters. ^ Braga, Matthew (14 December 2017). "Why Canada's net neutrality fight hasn't been as fierce as the one in the U.S." CBC. CBC News. Retrieved 15 December 2017. ^ Iyengar, Rishi (12 July 2018). "India now has the 'world's strongest' net neutrality rules". cnn.com. ^ Doval, Pankaj (12 July 2018). "Web stays equal for all as govt clears net neutrality". The Times of India. Retrieved 31 August 2018. ^ "Four tenors: Call for Internet Speech Rights". ARTICLE 19. Archived from the original on 3 September 2012. Retrieved 31 August 2012. ^ a b c Meza, Philip E. (20 March 2007). Coming Attractions?. Stanford University Press. p. 158. ISBN 9780804756600. ^ Plunkett, Jack W. (2008). Plunkett's Telecommunications Industry Almanac 2009. Plunkett Research. p. 208. ISBN 9781593921415. ^ "Defeat for net neutrality backers". BBC News. 9 June 2006. Archived from the original on 26 December 2008. Retrieved 26 December 2008. ^ "Open letter to the Committee on Energy and Commerce" (PDF). 1 March 2006. Archived from the original (PDF) on 24 April 2006. Retrieved 26 December 2008. ^ Fight for the Future. "Join the Battle for Net Neutrality". Battle For The Net. Archived from the original on 10 September 2014. ^ Cogent Communications, Inc. "Net Neutrality Policy Statement". Archived from the original on 18 April 2009. Retrieved 21 April 2009. ^ "Google's Sordid History of Net Neutrality Hypocrisy". Gizmodo. Archived from the original on 1 September 2014. Retrieved 14 September 2014. ^ "Team Internet". Fight for the Future. Archived from the original on 2 January 2016. Retrieved 28 February 2015. ^ Döpfner, Mathias (7 May 2017). "The inventor of the web Tim Berners-Lee on the future of the internet, 'fake news,' and why net neutrality is so important". Business Insider. Archived from the original on 30 August 2017. Retrieved 6 November 2017. ^ a b Cerf, Vinton (7 February 2006). "The Testimony of Mr. Vinton Cerf, Vice President and Chief Internet Evangelist, Google" (PDF). p. 1. Archived (PDF) from the original on 17 December 2012. Retrieved 5 November 2012. ^ a b c d e Lawrence Lessig and Robert W. McChesney (8 June 2006). "No Tolls on The Internet". Columns. Archived from the original on 26 July 2017. ^ Dynamic Platform Standards Project. "Preserve the Internet Standards for Net Neutrality". Archived from the original on 16 December 2008. Retrieved 26 December 2008. ^ Albanesius, Chloe (22 September 2009). "Obama Supports Net Neutrality Plan". PC Magazine. Archived from the original on 16 February 2013. Retrieved 25 January 2013. ^ Broache, Anne (29 October 2007). "Obama pledges Net neutrality laws if elected president". CNET. Archived from the original on 10 November 2012. Retrieved 25 January 2013. ^ Wyatt, Edward (10 November 2014). "Obama Asks F.C.C. to Adopt Tough Net Neutrality Rules". New York Times. Archived from the original on 14 November 2014. Retrieved 15 November 2014. ^ NYT Editorial Board (14 November 2014). "Why the F.C.C. Should Heed President Obama on Internet Regulation". New York Times. Archived from the original on 15 November 2014. Retrieved 15 November 2014. ^ Sepulveda, Ambassador Daniel A. (21 January 2015). "The World Is Watching Our Net Neutrality Debate, So Let's Get It Right". Wired. Archived from the original on 22 January 2015. Retrieved 20 January 2015. ^ Hardawar, Devindra (12 November 2014). "AT&T halts fiber build-out until net neutrality rules are sorted". www.engadget.com. Reuters. Archived from the original on 12 November 2014. Retrieved 12 November 2014. ^ Lohr, Steve (2 February 2015). "In Net Neutrality Push, F.C.C. Is Expected to Propose Regulating Internet Service as a Utility". New York Times. Archived from the original on 3 February 2015. Retrieved 2 February 2015. ^ Lohr, Steve (2 February 2015). "F.C.C. Chief Wants to Override State Laws Curbing Community Net Services". New York Times. Archived from the original on 3 February 2015. Retrieved 2 February 2015. ^ Flaherty, Anne (31 January 2015). "Just whose Internet is it? New federal rules may answer that". AP News. Archived from the original on 1 February 2015. Retrieved 31 January 2015. ^ Fung, Brian (2 January 2015). "Get ready: The FCC says it will vote on net neutrality in February". Washington Post. Archived from the original on 2 January 2015. Retrieved 2 January 2015. ^ Staff (2 January 2015). "FCC to vote next month on net neutrality rules". AP News. Archived from the original on 3 January 2015. Retrieved 2 January 2015. ^ Phillips, Peter (2006). Censored 2007. Seven Stories Press. p. 34. ISBN 9781583227381. ^ Robertson, Adi (14 January 2014). "Federal court strikes down FCC net neutrality rules". The Verge. Archived from the original on 15 January 2014. Retrieved 14 January 2014. ^ a b "Frequently Asked Questions". SaveTheInternet.com. Archived from the original on 11 December 2008. Retrieved 7 December 2008. ^ Davidson, Alan (8 November 2005). "Vint Cerf speaks out on net neutrality". The Official Google Blog. Archived from the original on 14 January 2013. ^ Cerf, Vinton G S; Ryan, Patrick S; Senges, Max (13 August 2013). "Internet Governance is our Shared Responsibility". I/S: A Journal of Law and Policy for the Information Society 10 ISJLP 1 (2014): 1–42. SSRN 2309772. ^ a b Ryan, Patrick S; Zwart, Breanna; Whitt, Richard S; Goldburg, Marc; Cerf, Vinton G (4 August 2015). "The Problem of Exclusive Arrangements in Multiple Dwelling Units: Unlocking Broadband Growth in Indonesia and the Global South". The 7th Indonesia International Conference on Innovation, Entrepreneurship, and Small Business (IICIES 2015): 1–16. SSRN 2637654. ^ Nunziato DC. Virtual Freedom : Net Neutrality and Free Speech in the Internet Age. Stanford, Calif: Stanford Law Books; 2009. https://ezproxy.scottsdalecc.edu/login?url=https://search.ebscohost.com/login.aspx?direct=true&db=e000xna&AN=395792&site=ehost-live&scope=site. Accessed April 1, 2019. ^ a b "Video Stream Quality Impacts Viewer Behavior, by Krishnan and Sitaraman, ACM Internet Measurement Conference, Nov 2012" (PDF). Archived (PDF) from the original on 12 February 2015. ^ "NetFlix comments to FCC, page 17, Sept 16th 2014". Archived from the original on 29 November 2014. ^ "Vimeo Open Letter to FCC, page 11, July 15th 2014" (PDF). Archived (PDF) from the original on 2 October 2014. 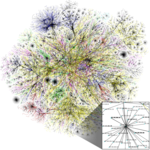 ^ "Patience is a Network Effect, by Nicholas Carr, Nov 2012". 11 November 2012. Archived from the original on 15 December 2014. ^ "NPR Morning Edition: In Video-Streaming Rat Race, Fast is Never Fast Enough, October 2012". Archived from the original on 14 July 2014. Retrieved 3 July 2014. ^ "Boston Globe: Instant gratification is making us perpetually impatient, Feb 2013". Archived from the original on 14 July 2014. Retrieved 3 July 2014. ^ "What Is Net Neutrality? 10 Aug 2010". Archived from the original on 16 June 2011. ^ a b Wu, Timothy (1 May 2006). "Why You Should Care About Network Neutrality". Slate. Archived from the original on 16 December 2008. ^ Breland, Ali (28 April 2017). "What killing net neutrality means for the internet". TheHill. Archived from the original on 4 September 2017. Retrieved 10 November 2017. ^ Dynamic Platform Standards Project. "Internet Platform for Innovation Act". Sec. 2.11. Archived from the original on 18 February 2009. Retrieved 26 December 2008. ^ a b "Against Fee-Based and other Pernicious Net Prejudice: An Explanation and Examination of the Net Neutrality Debate". Scribd.com. 27 November 2007. Archived from the original on 16 November 2011. Retrieved 23 June 2011. ^ "About Us". epicbrowser.com. Archived from the original on 17 March 2015. ^ "The Hot War Between Netflix and Comcast Is Escalating". time.com. 22 April 2014. Archived from the original on 22 May 2017. Retrieved 3 May 2017. ^ "Netflix Pays Verizon in Streaming Deal, Following Comcast Pact". time.com. 14 April 2014. Archived from the original on 2 May 2017. Retrieved 3 May 2017. ^ Isenberg, David (1 August 1996). "The Rise of the Stupid Network". Archived from the original on 20 August 2006. Retrieved 19 August 2006. ^ J. H. Saltzer; D. P. Reed; D. D. Clark (November 1984). "End-to-end arguments in system design". ACM Transactions on Computer Systems. 2 (4): 277–288. CiteSeerX 10.1.1.39.1747. doi:10.1145/357401.357402. ^ a b "Letter expressing strong opposition to proposals to classify broadband as a 'Title II' service" Archived 16 February 2015 at the Wayback Machine, to U.S. congressional leaders and members of the FCC, from representatives of a wide range of technology companies, 10 December 2014. ^ a b c d Pai, Ajit (26 February 2015). "Oral Dissenting Statement of Commissioner Ajit Pai, Re: Protecting and Promoting the Open Internet, GN Docket No. 14-28". DOC-332260A5. fcc.gov. Archived from the original on 20 May 2015. Retrieved 28 April 2015. ^ a b c Hart, Jonathan D. (2007). Internet Law. BNA Books. p. 750. ISBN 9781570186837. ^ "Oracle, Cisco break ranks, support repeal of net neutrality rules". sfchronicle.com. ^ Roberts, Jasamyn (21 November 2017). "US Telecom Net Neutrality Fact Sheet" (PDF). USTelecom. Retrieved 18 May 2018. ^ www.ETtech.com. "Net Neutrality should not apply to content delivery networks: Akamai's McConnell - ETtech". ETtech.com. ^ a b c "Back to the Future with Peter Thiel". National Review Online. 20 January 2011. Archived from the original on 2 March 2015. ^ a b Goldman, David (5 August 2010). "Why Google and Verizon's Net neutrality deal affects you". CNNMoney. CNN. Archived from the original on 6 August 2010. Retrieved 6 August 2010. ^ a b c Brody Mullins & Gautham Nagesh (24 February 2015). "Jostling Begins as FCC's Net Neutrality Vote Nears". WSJ. Archived from the original on 3 July 2017. ^ Pinsker, Joe (20 December 2017). "Where Were Netflix and Google in the Net-Neutrality Fight?". theatlantic.com. ^ "Vinton Cerf - A.M. Turing Award Winner". amturing.acm.org. Archived from the original on 29 June 2017. Retrieved 17 November 2017. ^ "Marc Andreessen on net neutrality". marginalrevolution.com. 23 May 2014. Archived from the original on 8 March 2015. ^ "McNealy Discusses". washingtonpost.com. 2 May 2006. Archived from the original on 30 July 2017. ^ DiChristopher, Tom (26 February 2015). "Father of net neutrality: Rules won't kill spending". ^ Horgan, John. "Dave Farber, Internet's "Grandfather," Seeks to Cut Through Fog of Cyberwar". scientificamerican.com. ^ Farber, David (2 June 2006). "Common sense about network neutrality". Interesting-People (Mailing list). Archived from the original on 16 December 2008. Retrieved 26 December 2008. ^ Farber, Gerald Faulhaber and David. "Expert View: If the Internet is Working Well, Don't Add New Regulations". technologyreview.com. ^ "David Clark talks with MIT News Office re Net Neutrality - MIT EECS". www.eecs.mit.edu. ^ Lebrument, Chantal (23 April 2014). "Network Neutrality and QoS" (PDF). ITU. Retrieved 18 May 2018. ^ Nicholas Negroponte (13 August 2014). "Nicholas Negroponte: Net Neutrality Doesn't Make Sense - Big Think". Big Think. Archived from the original on 28 February 2015. ^ "Nokia knocks Net neutrality: Self-driving cars 'won't get the service you need'". CNET. Archived from the original on 19 October 2017. Retrieved 17 November 2017. ^ "Internet Pioneers Decry Title II Rules". Light Reading. Archived from the original on 4 March 2015. ^ "Mark Cuban Vs. the World: The Full Code/Media Interview (Video)". Recode. Archived from the original on 12 December 2017. Retrieved 17 November 2017. ^ a b "Net Neutrality II | IGM Forum". www.igmchicago.org. Retrieved 18 May 2018. ^ Becker, Gary S.; Carlton, Dennis W.; Sider, Hal (1 September 2010). "Net Neutrality and Consumer Welfare". SSRN 1695696. ^ Holman W. Jenkins, Jr. (27 February 2015). "Holman Jenkins: The Net Neutrality Crack-Up - WSJ". WSJ. Archived from the original on 25 November 2016. ^ a b c d e Fung, Brian (18 November 2014). "Jesse Jackson is lobbying the FCC against aggressive net neutrality rules" – via www.washingtonpost.com. ^ "Civil Rights Groups Divided On Net Neutrality" Archived 17 June 2015 at the Wayback Machine, Hugh Pickens, Slashdot, 9 December 2014. ^ Fung, Brian (25 November 2014). "Wikipedia's 'complicated' relationship with net neutrality". Washington Post. ISSN 0190-8286. Retrieved 18 May 2018. ^ "Wikipedia ends zero-rated access for users in developing world". 19 February 2018. ^ "Hands off the Internet". Archived from the original on 5 January 2009. Retrieved 26 December 2008. ^ Jeffrey H. Birnbaum, "No Neutral Ground in This Internet Battle", The Washington Post, 26 July 2006. ^ "Hands Off the Internet, "Member Organizations,"". Archived from the original on 5 January 2009. Retrieved 4 August 2006. ^ Anne Veigle, "Groups Spent $42 Million on Net Neutrality Ads, Study Finds", Communications Daily, 20 July 2006. ^ SaveTheInternet.com, "One Million Americans Urge Senate to Save the Internet", at Savetheinternet.com Archived 19 September 2008 at the Wayback Machine (last visited 4 August 2006). ^ "Hands Off the Internet". sourcewatch.org. Archived from the original on 25 February 2007. ^ Pepper, Robert (14 March 2007). "Network Neutrality: Avoiding a Net Loss". TechNewsWorld. Archived from the original on 11 October 2008. Retrieved 26 December 2008. ^ "Robert Kahn, Forbes". Archived from the original on 3 March 2014. Retrieved 11 November 2011. ^ a b c David Farber; Michael Katz (19 January 2007). "Hold Off On Net Neutrality". The Washington Post. Archived from the original on 16 May 2008. Retrieved 26 December 2008. ^ "Tech and Manufacturing Companies Warn Against Title II". platform. Archived from the original on 2 April 2015. ^ "IBM, Intel, and Cisco come out against net neutrality". Cult of Mac. 11 December 2014. Archived from the original on 2 March 2015. ^ Mario Aguilar. "A Ton of Tech Companies Just Came Out Against Net Neutrality". Gizmodo. Gawker Media. Archived from the original on 18 October 2017. ^ J. Gregory Sidak, What is the Network Neutrality Debate Really About?, 1 INT'L J. COMM. 377, 384 (2007). ^ "FTC to Host Workshop on Broadband Connectivity Competition Policy". Federal trade Commission. December 2006. Archived from the original on 2 July 2015. ^ Mohammed, Arshad (February 2007). "Verizon Executive Calls for End to Google's 'Free Lunch'". The Washington Post. Archived from the original on 30 August 2017. ^ Crowcroft, Jon (2007). Net Neutrality: The Technical Side of the Debate: A White Paper (PDF). University of Cambridge. p. 5. doi:10.1145/1200000/1198263/p49-crowcroft (inactive 14 March 2019). Archived from the original (PDF) on 9 July 2012. Retrieved 23 June 2009. ^ "Net Neutrality, Monopoly, and the Death of the Democratic Internet". Motherboard. 8 May 2014. Archived from the original on 1 March 2015. ^ a b c d e f "The State of U.S. Broadband: Is it Competitive? Are We Falling Behind" Archived 5 March 2015 at the Wayback Machine, Everett Ehrlich, Progressive Policy Institute, June 2014. ^ "Four Years of Broadband Growth" Archived 13 February 2015 at the Wayback Machine, The White House Office of Science and Technology Policy and The National Economic Council, June 2013. ^ "Akamai shows global and US internet speeds increasing". ZDNet. Archived from the original on 5 March 2015. ^ "Measuring the Information Society" Archived 30 April 2015 at the Wayback Machine, International Telecommunications Union (ITU), 2013, ISBN 978-92-61-14401-2. ^ Ajit Pai & Lee Goodman. "Internet Freedom Works". POLITICO Magazine. Archived from the original on 6 March 2015. ^ a b Flows, Capital. "Title II And Utility-Style Regulation Is Not How We Should Protect Open Internet". ^ "Sorry, your broadband Internet technically isn't broadband anymore". CNET. CBS Interactive. Archived from the original on 24 February 2015. ^ a b "Why FCC ruling will hurt US consumers: FCC commish" Archived 1 July 2015 at the Wayback Machine, Fred Imbert, CNBC, 27 February 2015. ^ "Summary of Commissioner Pai's Oral Dissent on Internet Regulation". fcc.gov. 10 December 2015. Archived from the original on 28 February 2015. ^ "Don't Blame Big Cable. It's Local Governments That Choke Broadband Competition - WIRED". Wired. 16 July 2013. Archived from the original on 12 January 2016. ^ Hong, Guo, et al. "Effects of Competition among Internet Service Providers and Content Providers on the Net Neutrality Debate." MIS Quarterly, vol. 41, no. 2, June 2017, pp. 353-A29. doi:10.25300/MISQ/2017/41.2.02. ^ "Former ITIF Staff". ITIF. Archived from the original on 12 March 2015. Retrieved 6 March 2015. ^ "Google's political Head-fake". SFGate. 9 July 2008. Archived from the original on 9 March 2012. Retrieved 14 September 2014. ^ Wood, Matt (2 December 2014). "Claims That Real Net Neutrality Would Result in New Internet Tax Skew the Math and Confuse the Law". Free Press. Archived from the original on 1 March 2015. Retrieved 28 February 2015. ^ a b c "Effect of net neutrality rules on taxes is uncertain". @politifact. Archived from the original on 1 March 2015. ^ "Republican FCC Commissioner Slams 'Obama's 332-Page Plan To Regulate The Internet'" Archived 28 February 2015 at the Wayback Machine, Giuseppe Macri, The Daily Caller, 6 February 2015. ^ "Father of net neutrality: Rules won't kill spending" Archived 1 July 2015 at the Wayback Machine, Tom DiChristopher, CNBC, 26 February 2015. ^ "FCC adopts net neutrality rules endorsed by open Internet advocates". rt.com. Archived from the original on 1 March 2015. ^ Chicago Tribune (18 February 2015). "The Internet isn't broken. Obama doesn't need to 'fix' it". chicagotribune.com. Archived from the original on 26 February 2015. ^ a b "Digital Life: The Trump path to free internet for the poor". ^ Fung, Brian (25 November 2014). "Wikipedia's 'complicated' relationship with net neutrality" – via www.washingtonpost.com. ^ Mirani, Leo. "When net neutrality backfires: Chile just killed free access to Wikipedia and Facebook". ^ "India Bans Facebook's Basics App to Support Net Neutrality". Wired. 8 February 2016. ^ Wu, Tim (2003). "Network Neutrality, Broadband Discrimination". Journal of Telecommunications and High Technology Law. 2: 141. doi:10.2139/ssrn.388863. SSRN 388863. ^ a b Jon Peha. "The Benefits and Risks of Mandating Network Neutrality, and the Quest for a Balanced Policy". Archived from the original on 26 July 2011. Retrieved 1 January 2007. ^ "5 insights from Vint Cerf on bitcoin, net neutrality and more". Washington Post. Archived from the original on 2 April 2015. ^ a b Marcus, Adam. "Nuts and Bolts: Network neutrality and edge caching". The Progress & Freedom Foundation. Retrieved 12 June 2018. ^ Federal Communications Commission. "Restoring Internet Freedom - DECLARATORY RULING, REPORT AND ORDER, AND ORDER" (PDF). Retrieved 13 June 2018. ^ BEREC. "What is traffic management and what is 'equal treatment'?". ^ a b c Maillé, Patrick (2016). "Toward a Net Neutrality Debate that Conforms to the 2010s". IEEE Communications Magazine. 54 (3): 94–99. doi:10.1109/MCOM.2016.7432154. Retrieved 14 June 2018. ^ Baksh, Mariam (28 July 2017). "Content Delivery Networks Complicate Debate Over Net Neutrality". Retrieved 14 June 2018. ^ Koukoutsidis, Ioannis (2015). "Public QoS and Net Neutrality Measurements: Current Status and Challenges Toward Exploitable Results". Journal of Information Policy. 5: 245–286. doi:10.5325/jinfopoli.5.2015.0245. JSTOR 10.5325/jinfopoli.5.2015.0245. ^ Sullivan, Mark (14 August 2006). "Carriers Seek IP QOS Peers". Light Reading. Archived from the original on 16 December 2008. Retrieved 26 December 2008. ^ Berners-Lee, Tim (2 May 2006). "Neutrality of the Net". timbl's blog. Archived from the original on 1 January 2009. Retrieved 26 December 2008. ^ Yoo, Christopher S. "Wireless Network Neutrality: Technological Challenges and Policy Implications." Berkeley Technology Law Journal, vol. 31, no. 2, Jan. 2017, pp. 1409-1458. EBSCOhost, doi:10.15779/Z38HQ3RZ0S. ^ "NCSU.edu" (PDF). Archived (PDF) from the original on 20 July 2011. Retrieved 23 June 2011. ^ Lecher, Colin (12 July 2017). "Here's how the internet's net neutrality day of action unfolded". The Verge. Archived from the original on 7 November 2017. Retrieved 3 November 2017. ^ Mozilla (6 June 2017). "New Mozilla Poll: Americans from Both Political Parties Overwhelmingly Support Net Neutrality". Mozilla. Archived from the original on 7 November 2017. Retrieved 3 November 2017. ^ Brodkin, Jon (16 May 2017). "Flooded with thoughtful net neutrality comments, FCC highlights "mean tweets"". Ars Technica. Archived from the original on 7 November 2017. Retrieved 6 November 2017. ^ LastWeekTonight (7 May 2017). "Net Neutrality II: Last Week Tonight with John Oliver (HBO)". YouTube. Retrieved 28 May 2018. ^ Brodin, Jon (5 September 2017). "FCC makes net neutrality complaints public, but too late to stop repeal". Ars Technica. Archived from the original on 7 November 2017. Retrieved 3 November 2017. ^ Fung, Brian (16 May 2018). "Senate approves bipartisan resolution to restore FCC net neutrality rules". The Washington Post. Retrieved 28 May 2018. ^ Coldewey, Devin (10 May 2018). "Net neutrality will officially die on June 11". Tech Crunch. Retrieved 28 May 2018. ^ Kharif, Olga (4 September 2018). "YouTube, Netflix Videos Found to Be Slowed by Wireless Carriers". Bloomberg. Retrieved 11 September 2018. ^ Greer, Evan (6 March 2019). "Trump killed net neutrality. Congress is getting a chance to bring it back". NBC News. Retrieved 9 March 2019. Net Neutrality – What it is and why you should care. – comic explaining net neutrality. Killing Net Neutrality Has Brought On a New Call for Public Broadband. The Intercept. December 15, 2017. This page was last edited on 13 April 2019, at 23:55 (UTC).